BelarusDigest > Security > The potential ‘anshcluss’ by Russia: will Belarus resist? 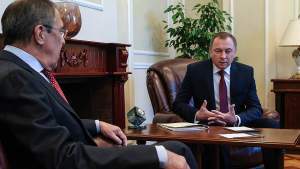 On 5 April 2019, the Russian Ambassador to Belarus Mikhail Babich informed that Alexander Lukashenka and Vladimir Putin agreed to conduct further consultations on the inter-state integration. However, both Belarusian and Russian media continue discussing the possibility of the Belarusian ‘anschluss’ by Russia. Moscow believes that Belarusians do not want to lose its independence, but if an attempt is made to include Belarus into Russia by force, the Belarusian uniformed services will not offer resistance and there will be no strong opposition from Belarusian society. Indeed, the failure of the Belarusian authorities to conduct a proper ‘Belarusization’ has resulted in the generally passive attitude from the Belarusians toward the potential Russian threat. Any grounds for the Belarusian ‘anshcluss’? The inclusion of Belarus into Russia, among other things, in order to enable Putin to run for president of Russia in 2024, is a scenario that strikes imagination. In early 2019, Russian media began discussing the subject of Putin remaining President of Russia after 2024. 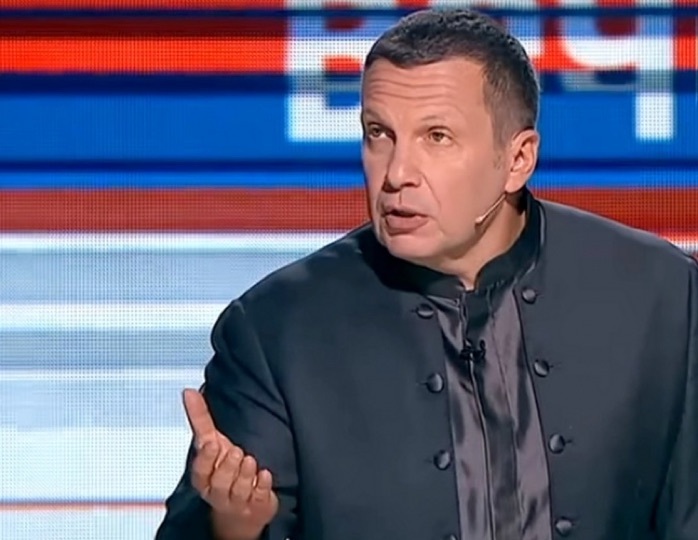 The Russian Constitution stipulates that “one and the same person may not be elected President of the Russian Federation for more than two consecutive terms”. Putin could have taken the post of Russia’s prime minister in 2024, essentially appointing a president who was loyal to him, a controlled person, and then returning to the presidency in 2030. However, in 2030 he will be 78 years old. According to some Russian experts, Putin can solve the problem of 2024 by merging Belarus with Russia, which would allow him to run for president of the all-new Russian state. Many in the Russian expert community believe that the Belarusian uniformed services will not resist the ‘anschluss’ attempt. There will be no resistance on the part of Belarusian society. The Belarusians do not want Belarus to be merged with Russia. However, there is a very big difference between not wanting it and fighting for independence, being ready to die for it and kill Russian soldiers. In fact, Belarus has no army capable of rendering any resistance in the event of Russia’s aggression. The army is an organic part of society. 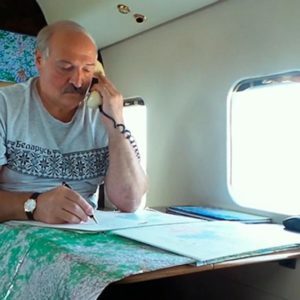 Some of the Western experts note that the Belarusian nation and the Belarusian national self-consciousness have been being formed under Lukashenko. This is a disputable statement. The authorities do not interfere with the activities of civil initiatives aimed at popularizing the Belarusian language and forming a cultural and historical identity. However, the authorities themselves have been making contradictory steps. A step forward, as a rule, is followed by a step in the opposite direction. Billboards with slogans such as “We are Belarusians!”, “For Belarus!” were placed in towns. In the streets and along roads, one can often see billboards with social advertisement where the Belarusian language is used. 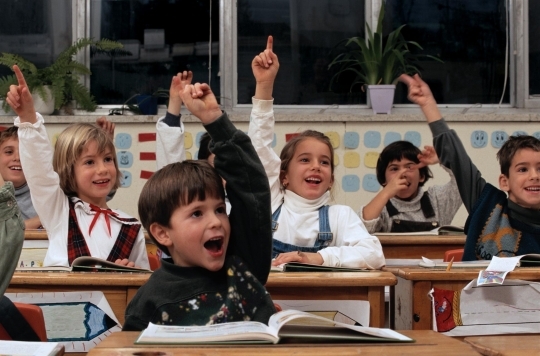 However, in most schools, schoolchildren receive education in Russian: all subjects, except for the Belarusian language, are taught in Russian. The Belarusian language is often taught as a foreign language: students are taught to understand it but do not to speak it. In Homiel, the second largest city in Belarus with a population of over 0.5 million, there is one gymnasium in which several classes study in Belarusian. In Hrodna, thirteen students are taught in Belarusian. This training is provided in two secondary schools. In Vitsiebsk, there is no single class with the Belarusian as the language of instruction. In Mahiliou, a city of over 380,000 people, only one schoolgirl is studying in Belarusian. In the provincial district towns (there are 118 of them), there are only two schools with the Belarusian language of instruction. In higher education institutions, the Russian language is normally used. After graduating from school, a Belarusian citizen faces only one situation when he needs to fill out a document in the Belarusian language – when filling the passport application. In all other cases, a person can use the language he masters much better than the Belarusian – the Russian. If a person does not have any Belarusian-speaking friends, then he hears the Belarusian language seldom – on television or radio. With age, his understanding of the language is worsening; he quickly forgets the rarely used words. The vast majority do not speak Belarusian. Belarusian society under Lukashenko is a Russian-speaking society in which Belarusian-speaking people are a minority. According to a study conducted by journalists of the web portal nn.by, programs of Russian production represent 80% of the content of the Belarusian state television channel ONT; the share of Belarusian production is 10%, and the Western production (American and European movies) is 10%. Apparently, the other state television channels have similar proportion. The state censorship does not allow the broadcast of Russian TV shows which are critical towards the Belarusian authorities. However, a significant part of Belarusian society receives information about what is happening outside Belarus from the Russian TV channels’ shows and news bulletins. A significant part of Belarusian society looks at the world through the prism of Russian TV channels, and these people are more and more under the cultural influence of Russia. In 2015, the Belarusian public was alarmed by the war in Ukraine. The opinion was widespread that destabilization of political situation would cause the appearance of Russian “green people”. Nevertheless, according to the results of a public opinion poll conducted by independent sociologists in October 2014, 67.8% of Belarusians supported the annexation of Crimea by Russia. About 20% spoke against it. 18% of the respondents said that they fully trusted the Russian media, 55.4% trusted them partially. Only 17.3% of respondents said that they did not trust the Russian media. As a consequence, Belarusians have become extremely prone to the influence of Russian propaganda and the narratives of the ‘Russian world’. 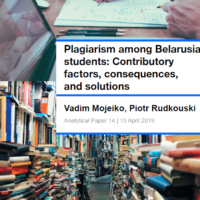 As Belarus-Russia relations get more complicated, the general weakness of national identity of Belarusians poses serious questions in the sphere of national security for the Belarusian state. Speaking in Brussels on 1 June, Belarusian foreign minister Uladzimir Makei warned that a proposed US military base in Poland would trigger a response in the region. Moreover, if tensions grow as a result, the Belarusian government could soon play host to a Russian military base. On the same day, while visiting border guards in the south of the country, Belarusian leader Alexander Lukashenka sounded a different note. He would prefer Ukraine to join NATO than see it taken over by nationalism and turn into “a bandit state” where a war of “everyone against everyone” rages. The Belarusian government has held this ambiguous position for decades. As NATO enlarged towards Belarusian borders, Minsk constantly adjusted its rhetoric and engaged in cautious yet increasing cooperation with the alliance. The “NATO ghost”, however, remained a major theme in Belarus’s relations with Russia. On the one hand, Makei’s statement about a possible Russian military base in Belarus stands out. Over the past four years Minsk has successfully avoided the establishment of a Russian air base on its territory. In a less publicised development, at least since the spring of 2016 and perhaps much earlier, the Belarusian leadership refused to deploy Iskander ballistic missiles on its territory as long as they would be manned and commanded by Russian military personnel. Minsk reportedly wanted to acquire the Iskanders and deploy them on its territory without Russia’s involvement in their operation. On the other hand, the Belarusian government, in fact, demonstrates little if any concern over NATO’s activities in the region. 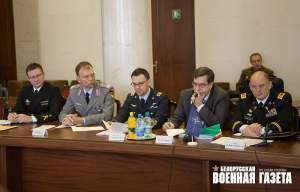 On 14-16 May, a delegation from NATO headquarters visited Minsk. 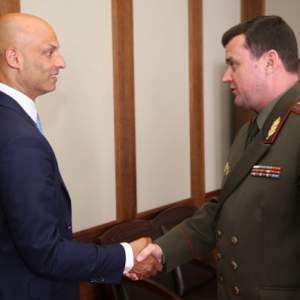 Together with the Belarusian Ministry of Defence, the delegation finalised a new set of objectives that Belarus will pursue as part of its participation in NATO’s Partnership for Peace initiative. While Minsk and NATO revealed little information on the issue, the volume of cooperation between the two parties has incrementally increased. Belarusian defence planning also shows few worries about NATO. In the most recent development, President Lukashenka raised the issue of further reducing the size of the army – currently 46,482 soldiers. If implemented, this would see between two and three thousand army personnel being transferred to the border guards agency. How serious is Minsk about “the NATO threat”? Analysing the words of the Belarusian foreign minister about a possible Russian military base, one should recall that Belarusian officials have made similarly ambiguous statements on all kinds of foreign policy issues in the past. For example, in February 2009 a German daily, the Frankfurter Allgemeine Zeitung, asked then foreign minister Siarhei Martynau, “Could Belarus ever be a member of the EU or even NATO?” The minister replied: “That certainly is not part of our scenario for the foreseeable future. But times can change.” That is, one should take the new statement of a possible Russian base as a response to NATO’s encroachment with a pinch of salt. Still better would be to consider Makei’s statement in the context of Belarus-Russia relations. According to one Belarusian military commentator, Alexander Alesin, “the ghost of NATO’s monster has served Minsk [for years].” Indeed, in the second half of the 1990s President Lukashenka frequently lashed out at “the NATO’s monster” approaching the borders of Belarus. He, at least partly, spoke this way while trying to break into Russia’s domestic political scene in the years before Putin’s presidency. Later on, Minsk simply used such tactics to convince Moscow of the necessity to support Belarusian government. 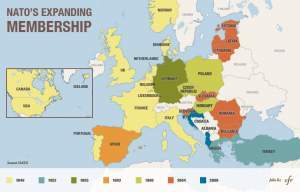 During the difficult transition years […], NATO countries behaved very restrainedly, I would even say – sympathetically. For such a powerful organisation as NATO, it would be easy to spoil the life of any of the CIS states, if it wished that. NATO proved to be as decent as possible. Moscow, certainly, noticed Belarus’s ambiguous attitude. Some Russian media frequently lash out at Minsk’s alleged desertion of Russia and accuse it of going over to the West. So, in a major article published on 14 April on the Russian news website Lenta.ru, Vladimir Zotov accused Belarus and its leader of betraying Russia and getting ever close to the West while still enjoying Russia’s economic support. At the same time, Russian public opinion remains positive about Belarus. According to an opinion survey conducted by Russia’s famous FOM sociological research institute in April, Russians consider Belarus alongside China and the US among their most necessary and valuable partners, “the relations with whom shall be good.” They named Belarus, alongside China and Germany, as one of the top three countries with which Russia should pursue economic cooperation. Moreover, the Kremlin itself sends mixed signals about NATO to Minsk. Speaking on 29 May, after meeting his Belarusian counterpart, Russia’s foreign minister Sergei Lavrov announced that, though he considered NATO’s new deployments in the Baltics and Poland “destructive”, Minsk and Moscow would strive to improve their relations with NATO. Accordingly, Minsk’s policy towards NATO has some recognition in Russia, however shaky. Last but not least, Minsk definitely looks for a way out of the dilemma of choosing between Russia and the West. On 10 June, the Belarusian president attended a summit of the Shanghai Cooperation Organisation (SCO) in the Chinese city of Tsingtao. His participation in this SCO event demonstrates his new success in attracting Beijing’s attention, a key priority in Belarusian foreign and security policy. Put briefly, Minsk has pursued an ambiguous course in its foreign and security policies for decades. It would be wrong to pass moral judgement on this policy because in all likelihood any other course, such as more explicitly siding with any side in regional or global confrontations, would have ruined Belarusian statehood. That ambiguous yet consistent course, which can be described also as an aspiration for more neutrality, started at the beginning of Lukashenka’s presidency. Although this policy lacks a proper conceptualisation in any recognisable Western style, it is by no means the “one–man show” of Lukashenka. A number of other Belarusian officials have contributed at least as much to it. The efficiency of this policy depends on it being acknowledged by other countries and blocs as a legitimate choice for Belarus.